We offer 16" Clear 3/8" detachable bra straps. In addition, we offer Narrow 1/4" and Plush Bra Straps. 3/8" wide. 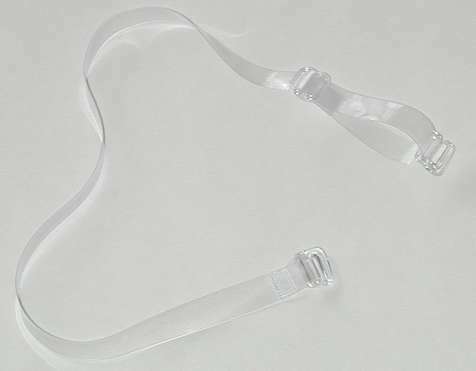 Approximately 16" long (fully extended) clear bra straps. Clear plastic slide. Open 3/8" bra strap hook on each end. Order wholesale at Clear Bra Straps Wholesale.